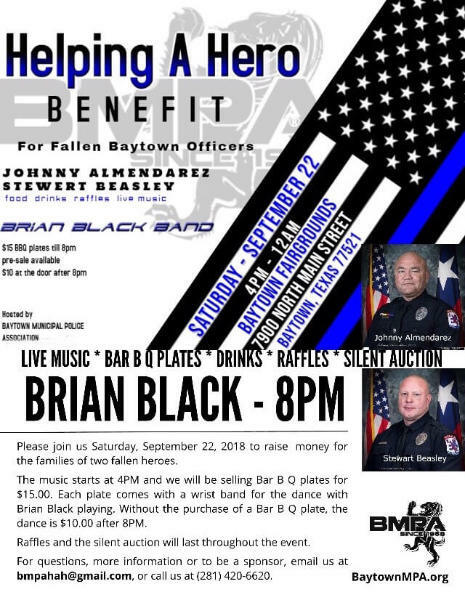 You can help honor our Fallen - join us for, "Helping A Hero Benefit"
Please join us Saturday, September 22, 2018 to raise money for the families of two fallen heroes. Held at the Baytown Fairgrounds. The music starts at 4PM and we will be selling BAR B Q plates for $15.00. Raffles and the silent auction will last throughout the event.